Responsible for the development and management of the respiratory nursing service to a cohort of patients who have respiratory conditions. responsibilities include managing a vaccination programme for RSV, Phlebotomy, Skin prick allergy testing, sweat testing procedures parent and patient education and support. 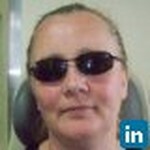 I am a nurse prescriber which involves making clinical decisions regarding treatment. I am also involved in the development of guidelines and protocols in relation to respiratory patients. I am an active participant in the Natiintian onal Asthma Chronic Care group adn have also acted as a clinical advisor to pharmaceutical companies. I attend regular meetings and have undertaken relevant courses to maintain a current knowledge base in this area. I am also proficient in Microsoft Office and the use of technology in the areas of patient care. While working here i advanced to become a senior staff nurse responsible for managing the ward during my shifts. this included patient allocation, staffing levels and supporting colleagues. I also gained advanced IV starter skills enabling me to cannulate difficult to access patients includign the elderly and neonates. Join Today to follow and contact Niamh O'Regan.